Draft: 2010, Los Angeles Dodgers, 30th rd. Shawn Mark Tolleson…he and his wife Lynley have 2 sons, Turner Gray (9/24/14) and Ames (11/10/16)…lives in Allen, TX during the off-season…was a 2-time Academic All-Big 12 Conference selection at Baylor…completed his undergraduate degree in Health Sciences at Baylor in 2017. Spent the entire season on TB's 60-day disabled list… made 5 spring training appearances for the Rays, last on 3/23 vs. NYY…experienced soreness in his left elbow and underwent ligament reconstruction surgery on 5/17 with procedure performed by Dr. Keith Meister in Arlington, TX…spent the remainder of the year undergoing rehab at TMI Sports Medicine in Arlington… became a free agent on 11/6 after refusing an outright minor league assignment. 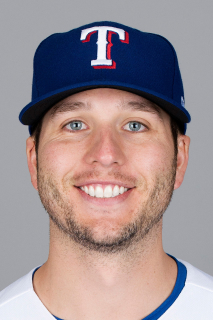 Started the season as the Rangers closer but was removed from the role following his May 17 blown save at OAK…was 0-2 with a 9.20 ERA (14.2-IP, 15-ER) and 4 blown saves in 18 apps before losing the job to Sam Dyson, including blown saves in 3 of his last 5 opportunities...Yielded at least 3 runs in 6 of his 37 apps, compared to 4 of 178 apps from 2012-15...Min. 25 IP, his 7.68 ERA was the highest by a Rangers reliever since 2007: Luis Mendoza (8.67) and Jason Jennings (8.56)...Yielded 8 HR in 36.1 IP…has allowed 27 HR in 180.1 IP over the last three seasons, most among AL relievers over that span and five more than anyone else...On April 6 vs. SEA, did not record an out and allowed a career-high 5 runs, turning a 5-4, 9thinning lead into a 9-5 loss…yielded 5 hits on a total of 14 pitches, including a 2-run homer by Robinson Canó...On May 17 at OAK, his final app in a save situation, entered with a 5-4 lead and had the A's down to their final strike before Khris Davis hit a walk-off grand slam…it was the 10th walk-off slam allowed in Rangers history, but the first that blew a lead since Goose Gossage gave up one to CWS Robin Ventura in 1991...Pitched to a 6.65 ERA (21.2-IP, 16-ER) in 19 apps after he was removed from the closer's role…optioned to Triple-A Round Rock on July 29…recalled on Aug 23 and placed on the 60- day DL with a back injury, ending his season. Was the first Texas reliever to earn the club's Pitcher of the Year honors since Joaquin Benoit in 2007…ranked among A.L. relief leaders in innings (third, 72.1), games finished (tied for third, 53), wins (tied for fourth, 6), saves (fifth, 35), games (fifth, 73),and strikeouts (11th, 76), all career bests…led the staff in appearances and saves and had the staff's lowest ERA (2.99) among pitchers with at least 70.0 innings…was just the third ML pitcher since 2012 with 6+ wins and 35+ saves in a season, joining NYY's Mariano Rivera (2013) and TEX's Joe Nathan (2013)…in addition to Nathan and Tolleson, Jeff Russell (1989) is the only other Ranger pitcher to do it...held opposition to .239 batting average, .234 vs. RHB and .243 vs. LHB…opponents hit .183 with RISP, .135 with 2 out. In 1st full major league season, led the Rangers in relief innings (71.2), 13th in the A.L., and was 2nd on the staff in appearances (64)...his 2.76 ERA was the lowest on the club among all pitchers with at least 40.0 IP...held opponents to .214 batting average, 7th lowest among A.L. relievers (70.0+ IP)...issued runs in 18 of 64 outings with 1st batters reaching base 24 times...permitted 15 of 34 inherited runners to score (44.1%)...opponents' batting averages were .216 vs. LHP, .212 vs. RHP, and .197 with RISP...opposition was 1-for-9 with the bases loaded...posted a 2.10 ERA (8 ER/34.1 IP) in 32 games at home...tied for 1st among A.L. relievers with 10 home runs allowed (Aaron Crow, KC; Koji Uehara, BOS) but issued just one HR in last 32 games...pitched the most relief innings for a season in team history without a save opportunity, the most in the A.L. in 2014. Opened at Albuquerque (AAA) and worked 5.2 scoreless innings with a pair of saves in 3 appearances … was recalled by the Dodgers on April 12 and pitched that night at ARI…replaced Clayton Kershaw with the bases loaded and no outs in the 8th inning with LAD trailing 1-0…threw 11 pitches and walked only 2 batters faced, Martin Prado and Paul Goldschmidt, to force in 2 runs in the Dodgers' 3-0 loss…was placed on the 15- day DL on April 15 (retroactive to April 13) with what was called a lower back strain…had surgery by Dr. Robert Watkins on April 25 for a herniated disc in his back…originally had back issues during the off-season and 1st experienced pain after final outing for Albuquerque on April 11…made one rehab outing each for Arizona Dodgers (Rookie) and Rancho Cucamonga (High-A), earning the win in a 1.0 inning outing for the Quakes on Aug. 14…sustained an injury to his left hip in that game and returned to the DL on Aug. 16...was transferred to the 60-day DL on Sept. 11 and missed the remainder of the season…is expected to be fully ready for spring training. Saw his first big league action in 2012, having his contract selected on June 4 for the first of four stints with the Dodgers and making his Major League debut on June 7 at Philadelphia. Limited opposing hitters to a .221 batting average, including a .152 mark against right-handers (12-for-79). Held first batters to a .147 batting average (5-for-34) with 12 strikeouts. Picked up his first career win on July 27 at San Francisco with a scoreless inning of relief in the Dodgers' 5-2 victory. Allowed only six of 31 inherited runners to score (19.4%). Tied for second among Dodger relievers with 32.0 innings pitched in 33 second-half appearances. Posted a 2.95 ERA (7 ER/21.1 IP) in 18 home appearances while surrendering 11 runs in 16.1 innings in his 22 road appearances (6.06 ERA). Had a season-long scoreless innings streak of 12.0 frames from July 24-Aug. 26. Combined to go 0-1 with five saves and a 2.82 ERA in 19 appearances with Double-A Chattanooga and Triple-A Albuquerque, limiting opponents to a .198 batting average with 34 strikeouts in 22.1 innings. Won the April Dodger Pride Award for Chattanooga, allowing just one run in 10.0 innings (0.90 ERA) in eight appearances...limited opponents to a .176 average (6-for-34), struck out 18 and walked three. Made five relief appearances with the Dodgers during Spring Training as a minor league addition to the roster, allowing one run in 4.1 innings (2.08 ERA) and limiting opposing hitters to a .154 batting average (2-for-13). Went a combined 7-2 with 25 saves and a 1.17 ERA in 57 relief appearances with Single-A Great Lakes, Single-A Rancho Cucamonga and Double-A Chattanooga this season to earn the Dodgers' Branch Rickey Minor League Pitcher of the Year...limited opposing hitters to a .206 batting average and average 13.7 strikeouts per 9.0 innings (105 SO/69.0 IP)...at Great Lakes, struck out 33 in just 15.0 innings and did not allow an earned run (one unearned run) in 14 relief appearances...promoted to Rancho Cucamonga on May 13, allowing only two hits and a single earned run (three total runs allowed) in 9.2 innings over five games...reached Chattanooga by the end of May and finished with 12 saves in 15 opportunities and a 1.62 ERA (8 ER/44.1 IP)...named to Baseball America's Midseason Minor League All-Surprise Team. Named to the Rookie-advanced Pioneer League All-Star Team after leading the circuit with 17 saves with Ogden...limited opponents to a .175 batting average (17-for-97), including a .091 mark (3-for-33) with runners on base and a .100 average (2-for-20) with runners in scoring position...struck out 39 in just 28.2 innings...posted a 0.75 ERA (1 ER/12.0 IP) and converted all nine save opportunities in 12 July appearances to win the Dodger Pride Award for Ogden...did not allow a run in his two postseason appearances, allowing just one hit in 3.0 innings. January 16, 2019 RHP Shawn Tolleson retired. October 9, 2018 Nashville Sounds activated RHP Shawn Tolleson from the 60-day disabled list. June 16, 2018 Shawn Tolleson roster status changed by Round Rock Express. April 5, 2018 RHP Shawn Tolleson assigned to Round Rock Express. December 21, 2017 Texas Rangers signed free agent RHP Shawn Tolleson to a minor league contract and invited him to spring training. November 6, 2017 RHP Shawn Tolleson elected free agency. November 6, 2017 Tampa Bay Rays sent RHP Shawn Tolleson outright to Durham Bulls. November 2, 2017 Tampa Bay Rays activated RHP Shawn Tolleson from the 60-day disabled list. April 1, 2017 Tampa Bay Rays placed RHP Shawn Tolleson on the 60-day disabled list. Right Flexor Strain. January 23, 2017 Tampa Bay Rays signed free agent RHP Shawn Tolleson. October 28, 2016 RHP Shawn Tolleson elected free agency. October 26, 2016 Texas Rangers sent RHP Shawn Tolleson outright to Round Rock Express. August 23, 2016 Texas Rangers recalled RHP Shawn Tolleson from Round Rock Express. August 23, 2016 Texas Rangers placed RHP Shawn Tolleson on the 60-day disabled list. Lower back sprain. August 12, 2016 Round Rock Express placed RHP Shawn Tolleson on the 7-day disabled list. July 29, 2016 Texas Rangers optioned RHP Shawn Tolleson to Round Rock Express. June 3, 2016 Shawn Tolleson roster status changed by Texas Rangers. May 27, 2016 RHP Shawn Tolleson roster status changed by Texas Rangers. November 20, 2013 Texas Rangers claimed RHP Shawn Tolleson off waivers from Los Angeles Dodgers. October 31, 2013 Shawn Tolleson roster status changed by Los Angeles Dodgers. September 11, 2013 Los Angeles Dodgers transferred RHP Shawn Tolleson from the 15-day disabled list to the 60-day disabled list. Left hip injury. August 14, 2013 Los Angeles Dodgers sent RHP Shawn Tolleson on a rehab assignment to Rancho Cucamonga Quakes. August 11, 2013 Los Angeles Dodgers sent RHP Shawn Tolleson on a rehab assignment to AZL Dodgers. April 15, 2013 Los Angeles Dodgers placed RHP Shawn Tolleson on the 15-day disabled list retroactive to April 13, 2013. Lower back strain. April 13, 2013 Shawn Tolleson roster status changed by Los Angeles Dodgers. April 12, 2013 Los Angeles Dodgers recalled RHP Shawn Tolleson from Albuquerque Isotopes. April 12, 2013 Shawn Tolleson roster status changed by Los Angeles Dodgers. March 19, 2013 Los Angeles Dodgers optioned Shawn Tolleson to Albuquerque Isotopes. August 29, 2012 Los Angeles Dodgers recalled Shawn Tolleson from Rancho Cucamonga Quakes. August 27, 2012 Los Angeles Dodgers optioned Shawn Tolleson to Rancho Cucamonga Quakes. July 26, 2012 Los Angeles Angels recalled Shawn Tolleson from Albuquerque Isotopes. July 25, 2012 Los Angeles Dodgers optioned Shawn Tolleson to Albuquerque Isotopes. July 3, 2012 Los Angeles Dodgers recalled Shawn Tolleson from Albuquerque Isotopes. July 2, 2012 Los Angeles Dodgers optioned Shawn Tolleson to Albuquerque Isotopes. June 4, 2012 Los Angeles Dodgers selected the contract of Shawn Tolleson from Albuquerque Isotopes. May 10, 2012 Shawn Tolleson assigned to Albuquerque Isotopes from Chattanooga Lookouts. March 7, 2012 RHP Shawn Tolleson assigned to Los Angeles Dodgers. June 5, 2011 Shawn Tolleson assigned to Chattanooga Lookouts from Ogden Raptors. June 3, 2011 Shawn Tolleson assigned to Ogden Raptors from Chattanooga Lookouts. May 30, 2011 Shawn Tolleson assigned to Chattanooga Lookouts from Rancho Cucamonga Quakes. May 13, 2011 Shawn Tolleson assigned to Rancho Cucamonga Quakes from Great Lakes Loons. April 4, 2011 Shawn Tolleson assigned to Great Lakes Loons from Ogden Raptors. February 26, 2011 RHP Shawn Tolleson assigned to Los Angeles Dodgers. June 18, 2010 Shawn Tolleson assigned to Ogden Raptors from Los Angeles Dodgers. June 17, 2010 Los Angeles Dodgers signed RHP Shawn Tolleson.